Ghana Cocoa Board (Cocobod) has closed the senior phase of syndication for its annual pre-export finance facility at US$1.3bn. 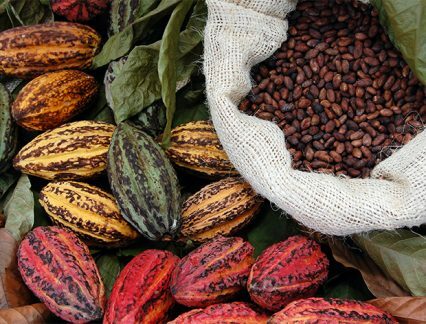 Now in its 26th year, the 11-month receivables-backed syndicated loan will help the company meet its financing needs for the next cocoa crop season. The facility value is the same as last year, and is fully underwritten by the arranger group, which includes ABN Amro, Bank of China, Industrial and Commercial Bank of China and Standard Chartered as co-ordinating initial mandated lead arrangers (MLAs), bookrunners and underwriters, together with Ghana International Bank as initial MLA. Joining the facility as senior MLAs ahead of its launch into general syndication are Commerzbank, DZ Bank, Intesa Sanpaolo, MUFG Bank, Rabobank and Société Générale. The arranger group was mandated in late May after a tender process, which according to Cocobod was “well contested with multiple bidding groups comprising over 15 major international banks”. The winning group of banks saw completely new names taking on the role of arranger, including Bank of China, which recently spoke to GTR about the expansion of its London-branch as well as its plans to take on more principal roles in strategic transactions going forward.